"Who needs the Bat signal when a card facing away from Batman will do?" Completed in MS Paint without the "anti aliasing" brushes included in the modern version of the software. The Joker was initially a side-activity during downtime at my job, it was meant to be only a Batman logo with the Joker laughing in the background on the back of a box at my desk. The box was vandalized and I decided to go digital. What was only a face seemed bland and I decided to add a partial torso, which evolved into a background with a bit of detail by the end of the ordeal. 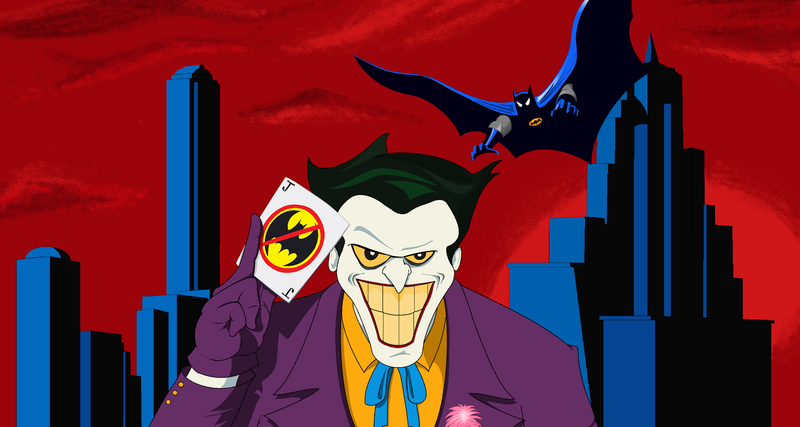 The Batman's pose was basically re-done from a variant poster of Batman: Mask of the Phantasm.